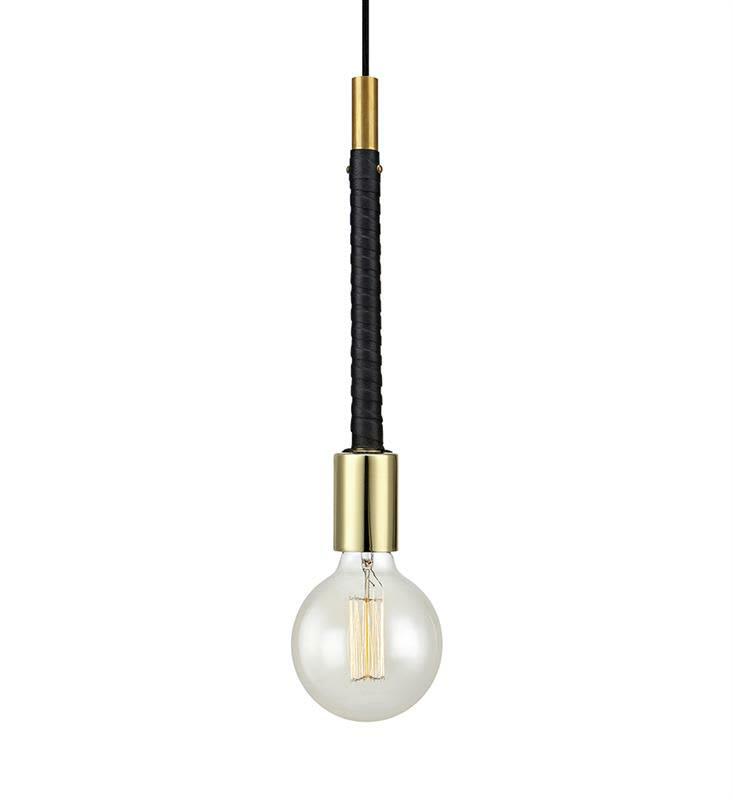 Saddle pendant from Markslöjd in brass and leather. 3.5m black textile cord with switch on the cord. Large lamp holder (E27). Max 60W bulb or equivalent strength in halogen, low energy or LED. Light source not included. Design Firman in Stockholm, Sweden.